Are you fighting for space in your house? 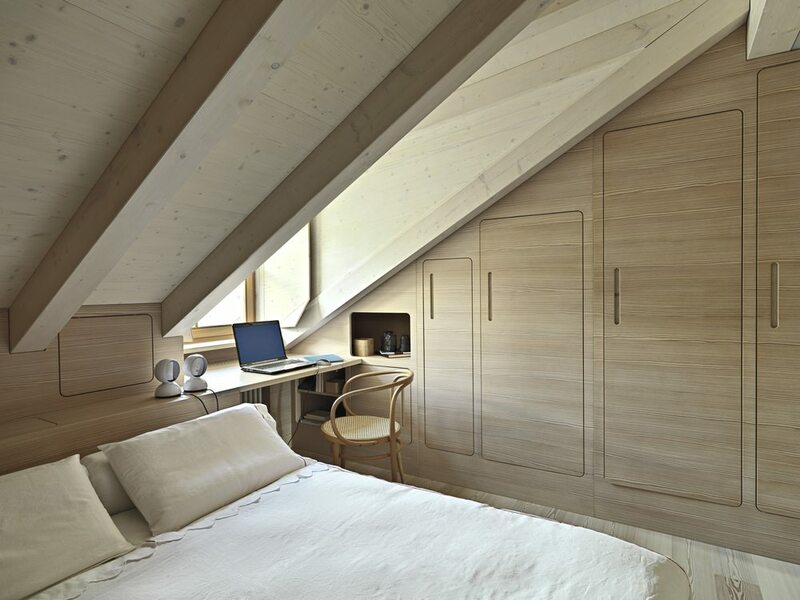 Why not clear some clutter from your loft and turn it into a bedroom? It’s not as challenging a project as it may sound. Our experts Ian Harvey, director of Harvey Norman Architects, and Alexandra Fry, senior designer at John Cullen Lighting, explain how to get started. Before you invest financially and emotionally in a loft conversion project, do a reality check. 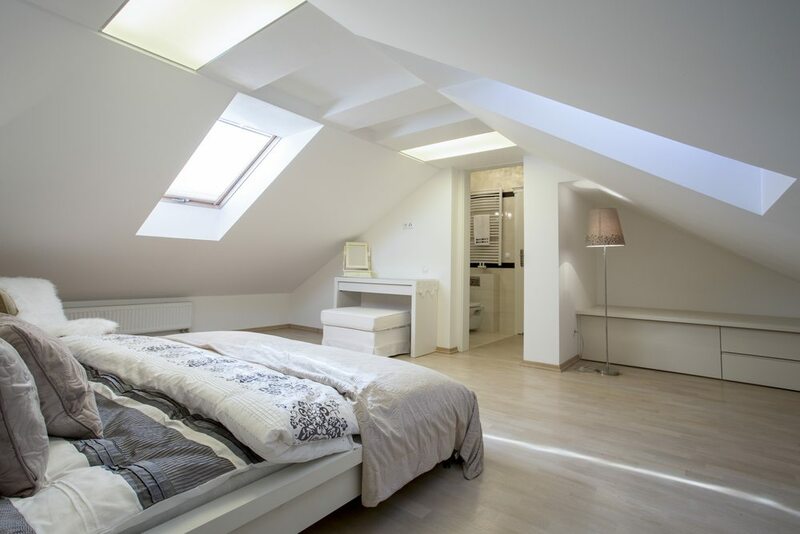 Is your loft large enough to be a usable bedroom? Is there enough height? Ian recommends a minimum height of 2.4 to 2.6m for a modern trussed roof (constructed using factory-made trusses) and 2.2 to 2.4m for a cut roof (made using the traditional method of cutting the timber on site and then building up the roof from a series of rafters and purlins). 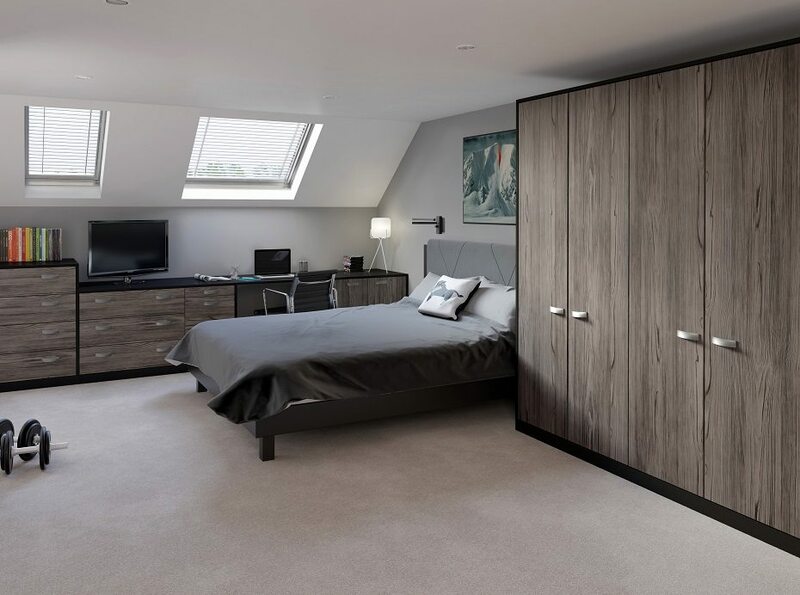 Transform your loft with the Textura collection from Crown Imperial, featuring textured Fleetwood bedroom furniture framed with a contrasting Rialto high-gloss black. Crown Imperial bedroom furniture starts from around £350. There are three main types: rooflight, dormer and mansard. A rooflight conversion will be cheapest. It’s also simple, involving few alterations to the existing space beyond inserting windows into the roof slope. Expect to spend between £1,200 and £1,500 per square metre at Harvey Norman Architects. 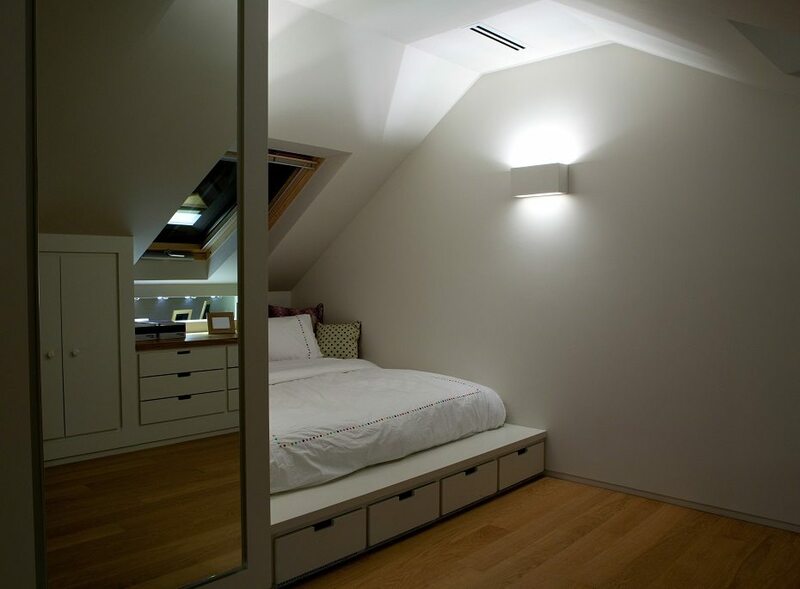 Fitted furniture maximises space in this small loft bedroom lit by John Cullen Lighting. Features include the Plaster Rectangle wall light from £85, Fazer LED downlights from £99, and the Cama LED from £334. 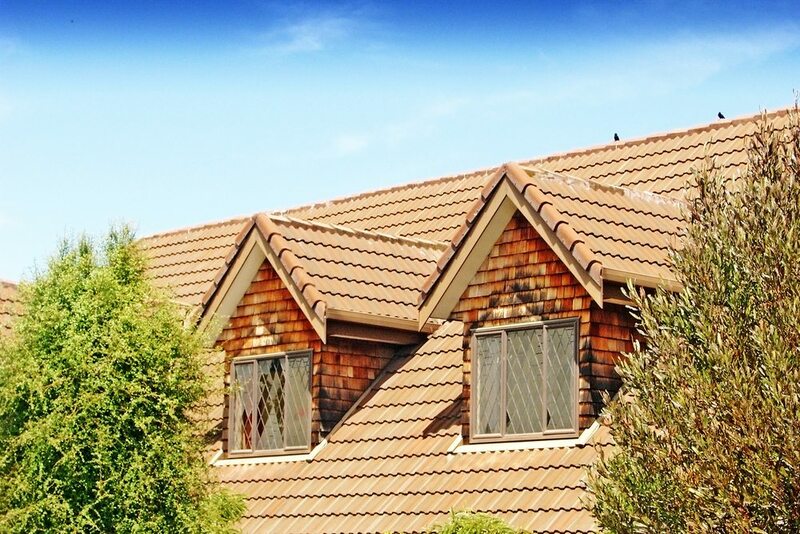 Almost any property with a pitched roof can have a dormer window. They’re best known for their box-like shape, which projects from the existing sloping roof to create a generous amount of internal floor and headspace. They’re usually found at the rear of properties. Choose from various types, including a single dormer (pictured below) and full-width, side and L-shaped dormers. 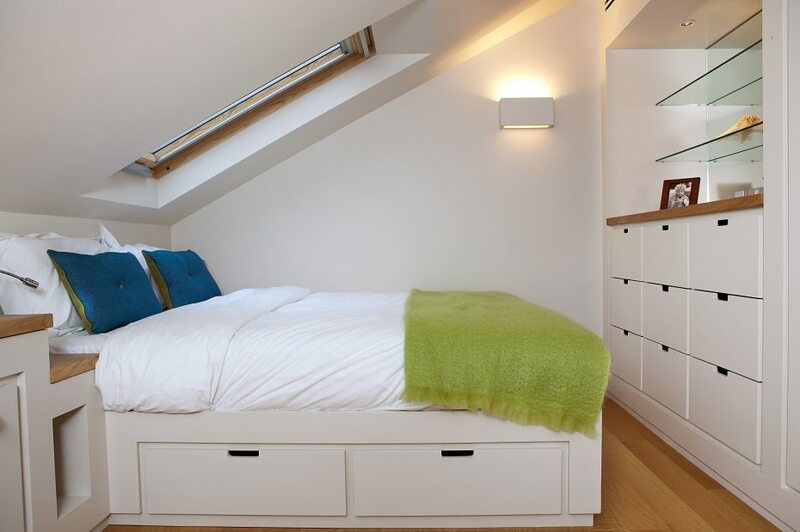 Check out Harvey Norman Architects’ guide to loft conversions for more information . You can expect to pay between £1,680 and £2,400 per square metre for work by the firm. With a mansard conversion, one or even both slopes of the roof are replaced with a new structure with much steeper sloping sides and an almost flat roof. “This design is used where the original roof had little or no headroom,” explains Ian. Mansard conversions normally need planning permission. They’re priced from £1,800 per square metre at Harvey Norman Architects. Mansard conversions aside, the good news is that a loft conversion is considered a permitted development, which means you don’t usually need to apply for planning permission unless you intend to extend your roof space by more than 50 cubic metres (40 cubic metres for terraced housing). However, strict rules apply. For example, you can only use materials similar in appearance to the existing house. We strongly advise you check out the complete list of limits and conditions at the Planning Portal. In conservation areas, area of outstanding natural beauty and world heritage sites, permitted development rights are more restricted. Check with your local planning authority for more information. Read more about planning permission in our beginner’s guide. 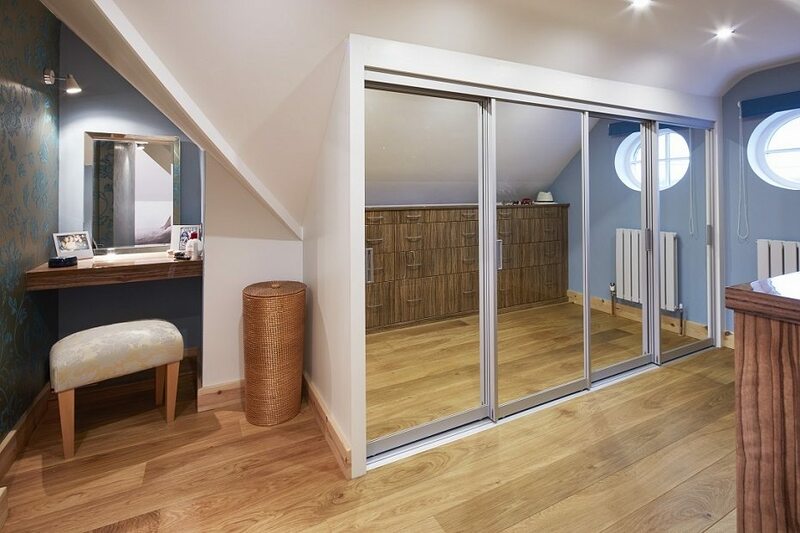 This loft conversion features mirrored sliding doors and a bespoke dressing table from Sharps. Prices for a fully fitted Sharps bedroom start from £2,000 including design, manufacture, delivery and installation. “Loft conversions always need approval under building regulations, irrespective of whether they need planning permission,” says Ian. These regulations cover the strength of the new floor, the stability of the structure (including the existing roof), fire precautions, stair safety and sound insulation between the conversion and the rooms below. Visit the Planning Portal for more details. Your building control officer will inspect the work at various stages. On the final inspection, they should issue you with a completion certificate. “Don’t settle any final accounts until you have received this,” advises Ian. Avoid downlights in a converted loft bedroom as you’ll find the light will glare. “Loft rooms don’t tend to be very large so they don’t need masses of light,” says Alexandra Fry, senior designer at John Cullen Lighting. “The trick is to find clever ways of hiding discreet light sources within joinery, skirting and shelves. If you do need to boost light levels, think about adding lighting to shelving. You could use an LED strip such as the Contour LED or an Eyelid under-cupboard light. Small wall lights are also a good source of ambient light: “Just ensure there is enough height for them and that they’re not set too close to the ceiling: there should be at least 200mm above,” says Alexandra. How much is your house worth? Find out here. In this loft bedroom lit by John Cullen Lighting, a Plaster Rectangle from £85 creates shafts of light both up and down, while Eyelid under-cupboard lights, from £81, provide task lighting on the dressing table.